The plunging temperatures of the polar vortex and the unending winter have all of us looking for a silver lining, and I honestly thought I’d found it: Weather this cold must mean we’ll have fewer rats and mice this spring, right? “They’re the kings of survival,” says Michael Deutsch, urban entomologist, rodentologist, technical director of Arrow Exterminating Company, and regional director of the New York Pest Management Association. A few days of subzero temperatures are nothing when you’ve survived the Ice Age, meaning rodents are here for the long haul, according to Deutsch and other experts around the country. The Norway rat, the species found in U.S. cities, originated in northern China and Mongolia and has evolved to endure frigid winters, says Michael H. Parsons, an urban ecologist and visiting research scholar studying city rats at Fordham University. Norway rats have huge incisor teeth with powerful gnawing ability. On a hardness scale of one to ten, with ten indicating a diamond’s hardness, their teeth are between a five and a six, Deustch says. So every fall as the temperatures drop, rodents move into our homes, businesses, the sewer systems, and through drainage pipes into plumbing, even up into the engines of cars. They move less to conserve energy when the temperature drops in their burrows, and they’re unlikely to venture out into the cold. “I would suspect that most of the mice in downtown Chicago are inside right now,” says David H. Wise, professor of ecology and evolution at UIC. 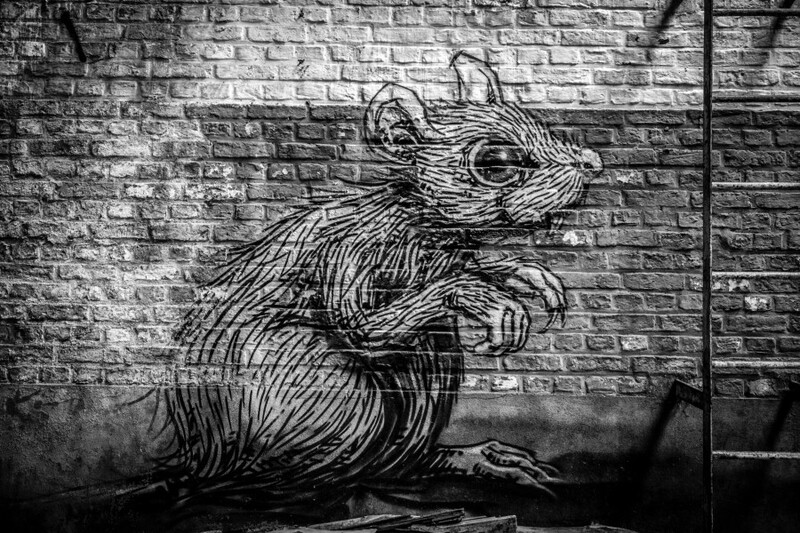 While most rats are sequestered in a toasty nest somewhere, like in a building’s basement or first floor, the outcasts of the colony are the ones that are susceptible to the elements, according to Deutsch. The choicest shelter sites, the best food, and access to the best mates are for the alpha males. Beta rats are on the fringes; they will survive, although barely, leaving omega rats to experience some mortality during the winter. “Surely there will be a few rats that perish if forced to live near the surface, but their meat will support the rebound population,” Parsons says. The older, injured, or weaker rats that die off won’t impact the population long-term. And even if a severe cold spell caused a dip in the city’s rat population, the death toll may benefit the survivors, says Jason Munshi-South, urban wildlife expert and professor of biological sciences at Fordham University. Rats’ gestation period, or length of fetal development from conception until birth, is 20 days. Within 45 days, they reach sexual maturity and have large litters. “Given the dramatic reproductive speed of these animals, the population would rebound, even if decimated, as long as food and shelter are available,” Parsons says. Fluctuations in temperature may have a mild effect on our local rat and mouse populations, but their high reproductive output means Chicago residents likely will not see fewer rodents. Matt Mulligan, wildlife research coordinator at the Urban Wildlife Institute at Lincoln Park Zoo, suggests having a plan B.